According to carlist.my, It’s not just stress and wasted petrol that accumulates in crawling traffic. These congestions are also causing Greater Kuala Lumpur (defined as an area covered by 10 municipalities surrounding Kuala Lumpur, each governed by local authorities) a drop of between 1.1 to 2.2 percent from Malaysia’s 2014 gross domestic product. The report went on to detail the most key driver for Malaysia’s - and indeed Kuala Lumpur’s - rapid growth, urbanisation. Only 51 percent of the population lived in cities as of 1985, whereas now that figure has leaped to 75 percent. Hence, urban mobility has became a concern and, like a glass ceiling, is a looming threat to any the city’s growth. 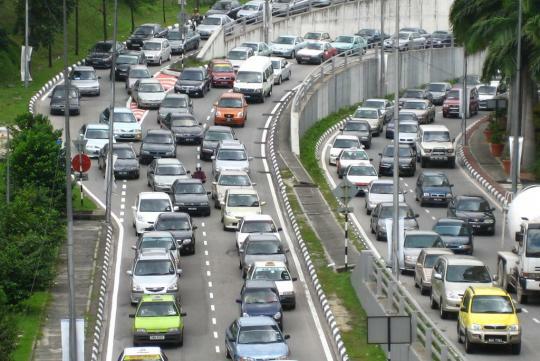 "Today, road congestion is increasing in Malaysia's cities - there is insufficient public transit as an alternative to car use, and public satisfaction with public transport is low," the World Bank’s report added on. To solve the problem, the government is trying to encourage the adoption of public transportation. With the new MRT network under construction, the severity of this problem might be on the cusp of recovery, as the new line reaches heavy populated areas that are in dire need for railed mass transit.